Absolutely unique and original lampshades — hand made according to our very own models and designs. Our paper lampshades are made with card that has been specially impregnated to make it stiff and durable, as well as providing a wonderfully warm, diffused light. 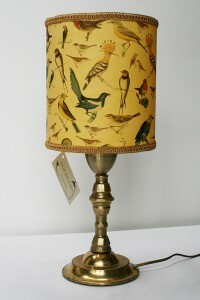 You can also buy a vintage lamp base to go with your lampshade! 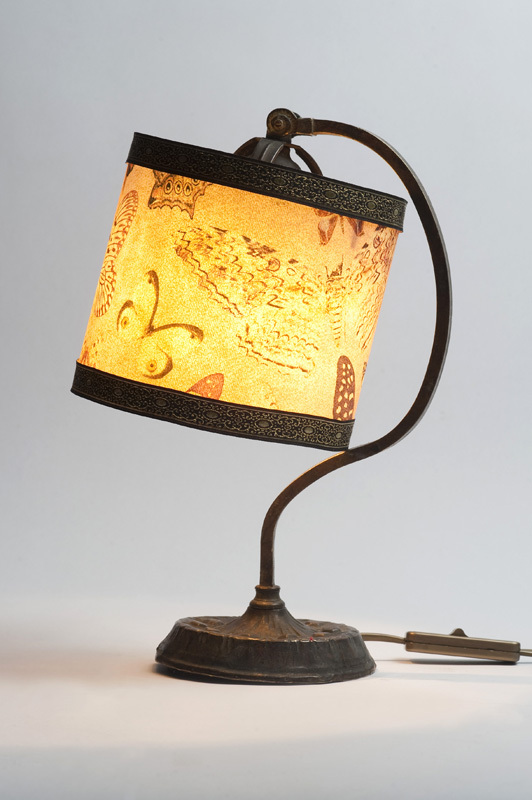 Our metal lampshades (brass, copper or stainless steel) are made using a combination of high quality gauze or metal foil and glass beads or semi-precious stones of various colours and sizes. 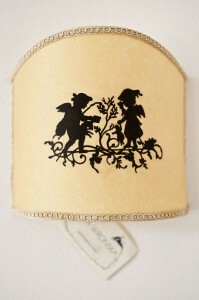 These lampshades give a strong light and cast intriguing shadows on the walls. 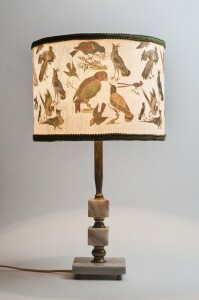 It goes without saying that we also make classic fabric lampshades, using silk or linen. 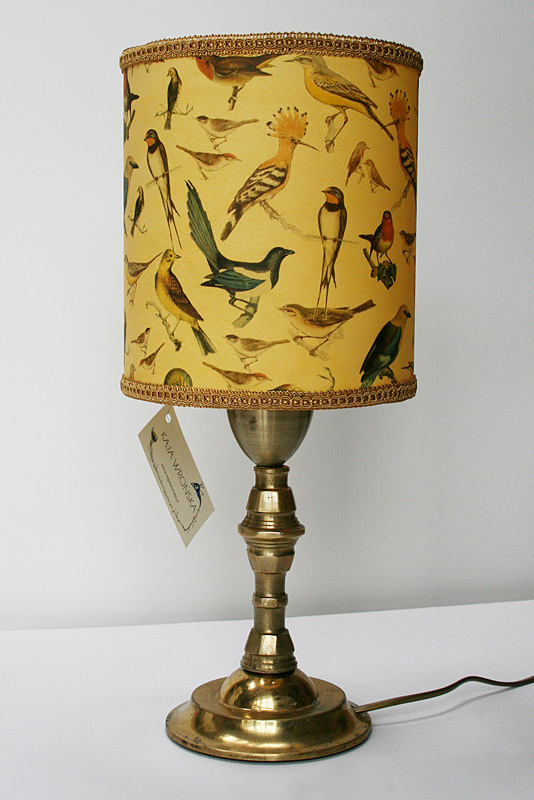 And, of course, we are always happy to make lamps to order — or to fit old lamps with new lampshades. 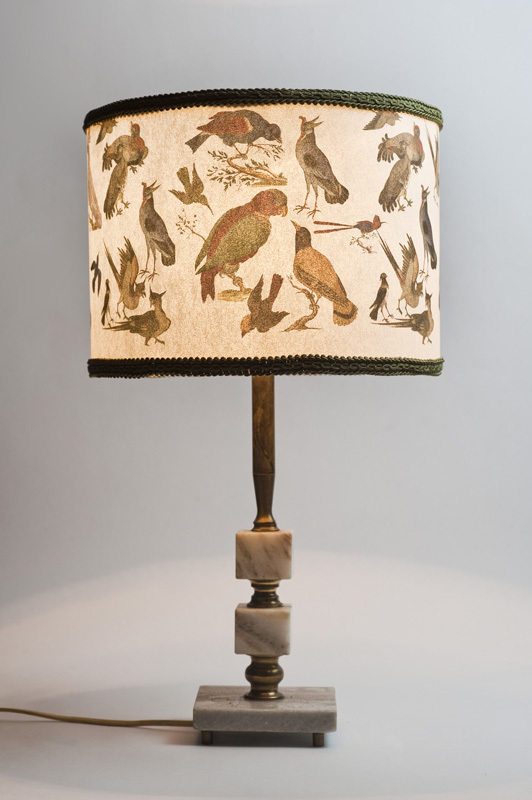 You can buy any of the lamps that are currently on display in our shop window — simply by asking one of the Chimera staff during the opening hours of the Salad Bar.